I haven’t read a Jodi Picoult book in a long time, but I’m so glad I decided to read this one. 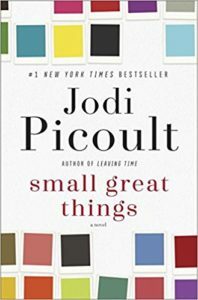 Small Great Things is one of the most thought provoking and inflammatory books I’ve read in some time. It focuses on issues of race and prejudice in a way that I, and probably many others, have not considered. The story is told from the perspectives of three characters: Ruth (an African-American labor and delivery nurse), Turk (a white supremacist father of a newborn baby in Ruth’s hospital), and Kennedy (Ruth’s defense attorney). Each viewpoint sheds a different light on the issue of racism. We learn that we all have much to learn about how we perceive each other and behave towards each other. Herta Muller’s words form images assembled as a collage and story for the reader to follow. 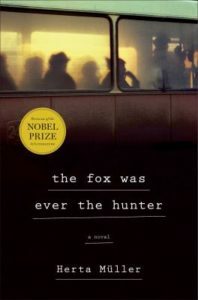 The Fox was Ever the Hunter is rich in images and symbols to lead one along the path of fear and frustration caused by the totalitarian regime the author grew up with in Romania. The secret service lurks ever present and for Adina, they threaten with notes and gradual dissection of her fox fur bought years ago with her mother. Clara finds that her special friend with whom she shares the evening rest is not just a lawyer but an agent of that dreaded service. All are suspicious of others and fearful of what may come, but hope for a brighter day. For more about the book and the author, check out The New York Times review. I appreciate good historical fiction, especially those stories that connect people and events across time. 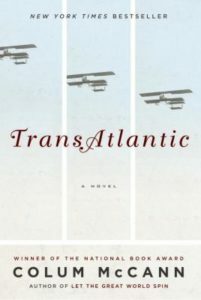 Colum McCann has done his research and given us some great historical framework before the reader figures out that Transatlantic is really about three generations of women who have left their mark on history, in particular that of Ireland. Great insights into women who carry many personal burdens, yet persevere. Great insights into human nature in general. This is being labelled a “domestic drama,” but I think it is probably a common story in this day and time. It concerns 4 adults and 6 children, marriages coming apart, and families being joined. 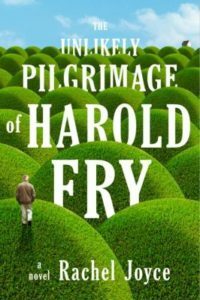 The story spans over 50 years and shares the children’s disillusionment with their parents and the affection that grows between the children. The way Commonwealth is written is almost like a puzzle being put together. 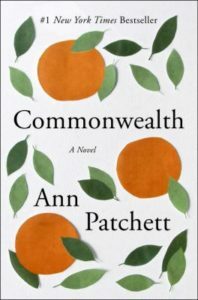 Ann Patchett’s latest novel is great storytelling. A young woman named Eva riding her bicycle one day at Cambridge crosses paths with Jim, a law student. That chance meeting will change their lives in many ways. 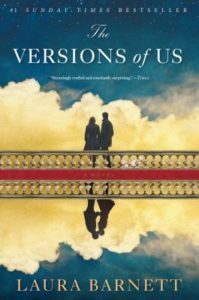 What is unique about about Laura Barnett’s The Versions of Us is that it explores the chances, decisions, and what makes us human in three variations of Eva and Jim’s story. How might the course of your life been affected if a single detail was changed? 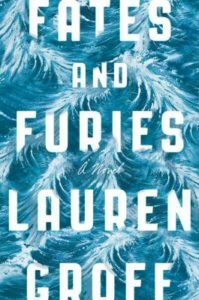 In Lauren Groff’s Fates and Furies, the story of marriage is told by multi-faceted characters Lotto and Mathilde. Lotto, who is destined to be a world famous playwright, unfolds his love for Mathilde in the Fates, while Mathilde’s dramatically different perspective of their marriage is revealed in the Furies. While unsure of where the story is going in the first section of the book called Fates, the reader is brought into a whirlwind of discoveries and uncovered truths in the Furies. The core of this marriage lies possibly in its secrets rather than in its truths and the unfolding of this complicated duo won’t disappoint. After reading – and very much enjoying – Life After Life, the idea of more Todd family adventures was appealing. 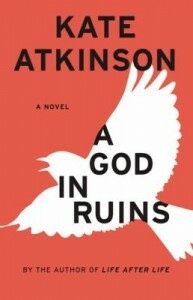 Kate Atkinson calls A God in Ruins a companion novel to Life After Life, not a sequel. She takes one of the alternate realities of Ursula’s adored younger brother Ted, and develops the storyline after his miraculous recovery from a plane crash as a bomber pilot in World War II. 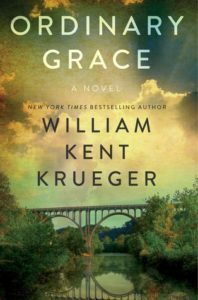 The novel alternates between Ted’s wartime experiences and his civilian life as father and grandfather. Curious readers of Life After Life will also be treated to an excerpt from Aunt Izzie’s The Adventures of Augustus, the character she modeled after Teddy. 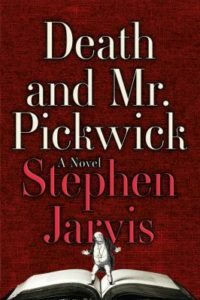 Atkinson continues to test the reader’s concepts of time and fiction with this engaging novel.